It has been too long since I’ve written – but if you knew how often I think about you and Jilly, you would feel overwhelmed with warmth, friendship and arguably quiet smiles. You are so loved. Your pictures have filled me with delight (and is there any way I can make copies of some of them – seriously – I want them in my new house) and comfort and hope. Even when hope sometimes seems too ephemeral to hold. This is going to be a bit political, perhaps more than a bit. I ask that people refrain from posting ‘hate’ rebuttals. At the risk of sounding harsh – you are entitled to your opinion as much as I’m entitled to mine. But this is my blog, so perhaps you can begin your own if you want. I don’t understand what is happening in our world. 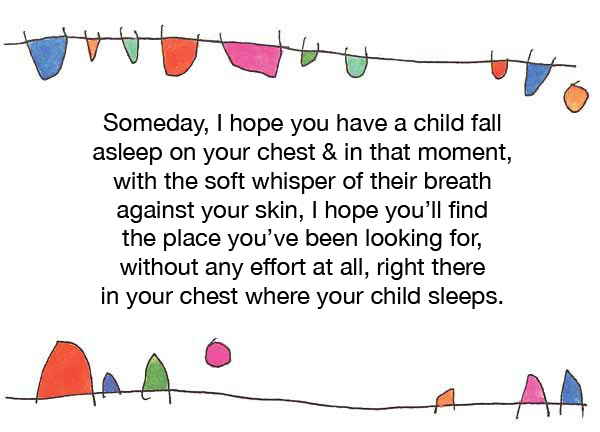 I don’t understand why we don’t hold our children in the highest esteem – so that we raise them in a world that doesn’t feel like it’s one breath away from self-implosion. I can’t wrap my head around vitriol, hate, rage that foments more rage, violence that – like a cattle prod – propels people to consider more violence. Yes, this is about Orlando. Yes, this is about insincere apologies (if they are offered at all) and veiled intimations that extremism is the best answer to extremism. What can I say? I’m an aging woman who marched after Kent State and was hit with lead pipes for doing so, who wore a necklace for too many years with the expression “war is not healthy for children and other living things”. And yes, it turned my neck a hideous shade of green. I wasn’t going to write about this today. I was going to tell you a funny story about my new temporary neighborhood. It can wait. You have helped me through these last few weeks more than you know. And my gratitude is inestimable. Thank you for understanding that new chapters are exciting and daunting, bold and frightening, hopeful and rife with doubt. That I swing between these extremes from one minute to the next, like the proverbial cradle in a treetop. A precarious position from which to observe one’s days, let me tell you. Have I snuggled in yet? Hardly. Right now I feel like I’m invisible in my own life. My son and daughter-in-law and granddaughter know me, her family has welcomed me warmly. And that’s all I know. And that’s all who know me. Well, my neighbor Mike – who has graciously welcomed the Sirs, despite Archie’s early morning sun salutations that arguably could wake the neighborhood. Poor guy, he spent his life with acreage separating him from the rest of the world, so he and Bogey could greet the day with unbridled enthusiasm and only risk the ire of some late-rising birds. He really doesn’t understand why I’m telling him to ‘shhhh’ at 5:00AM. I’d like to know that someone knows I’m here, but not necessarily because my dogs insist on it. Because of my geographical challenges, Andy keeps encouraging me to purposefully get lost each day and find my way back to home base. Funny guy – his rationalization for my GPS not being updated, I guess. I’m lost already – and I’m sitting at the kitchen table! Oh, and did I tell you how I took out my side view mirror as I backed out of the new garage? Yup – thought I saw a snake (it was an extension cord). And you wonder about my hesitation to just go? I’m intrepid in my imagination – it’s safer. Ah well…life transitions. I’ve never been good with them as you know, though I’m damn lucky that they happen despite my reluctance. Just when you feel like you’ve got one aspect of your life down, fate yells “Plot twist!”. Children grow before you’re ready to let them go; newlyweds get used to each other and morph into something familiar, but different from that frenetic excitement; our inside age begins to disconnect from our outside appearance; life laps at the shore as we’re standing on the boardwalk wondering what the hell just happened while we were looking for the concession stand. I keep looking at everyone else and wondering why I’m not getting my feet wet. The truth is this is the perfect time to wade in – because no one knows me, because I am not really visible. I can try anything I want and it will make no difference one way or the other. But for the fact that I tried. And that’s what I’m slowly starting to understand. I spend so much time fretting over what I did or didn’t do, wondering if I’ve pissed someone off, what I could do to make a situation better – it’s kinda exhausting honestly. And I don’t have any power other than to try to be a decent human being. To love wholeheartedly and let go when asked, try and be a little nicer to myself as I haltingly begin to walk to the shore. And so I circle back to you – and your loving reminder that I’m not untethered, that I belong even if I’m not sure at this point where I am. Your refusal to let me deflect the conversation away from me (and we both know I’m pretty good at that). Maybe it’s just knowing that you remind me I’m ok, that you’re my sister, and when one is loved, precise coordinates aren’t necessary. How have you been? I have been remiss in writing to you timely; the thoughts in my head refused to make themselves apparent when I sat down at my laptop. True, I could have sent you some jumbled, free-form excuse for a post, but you would have seen right through it. So – we have moved. Not just around the corner – go big or go home – we moved to another state. Renting a lovely little house until our new home gets built. Ostensibly, this should be completed before the end of the year, but something tells me that’s a concoction of hope combined with good intentions. Looks delicious to drink, with a surprisingly bitter after-taste. I have found my toothbrush, coffee, hairdryer…the Sirs have found their favorite spots in the backyard, though their enthusiasm is tempered with a bit of anxiety. Andy discovered his sweatpants, iPad and softest t-shirt. All that we’re going to unpack for this temporary stay has been unpacked (let’s not talk about how much remains unopened). I’d say we’ve made progress in a week. I have found the supermarket, Target and HomeGoods. I’ve had the delightful company of my almost-six month old granddaughter who discovers the world around her with a contagious delight. We’re learning as we go. My appreciation for the warm welcome from my son and daughter-in-law and her family is greater than my facility with the English language permits me to articulate. I’m so lost right now that if someone pointed the exit to a paper bag, I’m not entirely sure I’d find my way out. Directions have never been my long suit. I miss my other son, his wife and yummy daughter, I’ve lost the familiarity of faces that graced my days for years, the enveloping comfort of driving down a street that welcomed me for decades, the subtleties that define ‘home’ and gently imprint themselves on your heart. Don’t get me wrong – it was time to shake things up. Learn a new neighborhood rhythm, find alternate ways to embrace being lost and learn how to find one’s self (my GPS never seems to have those coordinates). Grab onto some newness to life in a way that one is forced to in situations like this. I’m going to learn how to play the ukulele, start moving these arthritic hips and see if I can at least make them a bit stronger. Slowly wind my way around the maze of uncertainty and trepidation, bump into some privets along the way…I’m going to sit down and have a good cry some days and I’m going to get up and keep going. And one day, we’re going to have a new house, and it will shelter new memories, its walls will contain laughter and love, and family get- togethers will be enhanced by the miracles of two little girls who will define their grandparents’ home in ways I can only imagine. I’m trying to find the better part of me, and when I engage in such challenging activity, I am always tempted to talk to you. You see me as better than I am. The truth of the matter is, you see everyone and every situation bathed in a light that softens the edges, mutes the glare, blesses the spirit. (If you don’t believe me, check out his blog windinmywheels.com – there’s just something about my friend Simon). People spent their snowbound days differently. Just as the snow began, we were meeting with a stager – a very talented woman who claims the professional mission of depersonalizing a home and transforming it into a space that others could love. So, I have been packing and purging – nauseous and angry and and considering everything except the pictures of my family (in all its iterations) dispensable. I’m not convinced I’m ever going to feel that sensation of ‘home’ again. So how does this all connect – bear with me. Our first dog was a little schnauzer named Demi (hybrid of my sister’s name and mine). I loved that pup as only a child can (though I think the person who truly adored Demi was our dad – they even looked a bit alike). Yet, when I was told that I needed to ‘share’ him with my sister, my response was to tell my parents that she could have him. I didn’t want him anymore. A lie of course, indignant and self-defeating without question. If I loved him so much and had to let go of him a bit, I would let go of him completely. Just so you know – we shared Demi, loved him and his nuttiness and there’s no unhappy ending. And here I am today – plowing through closets and rooms that held the people I love in various stages of growing up (which include some moments that one might want to forget) and railing – ‘Take it all. Give it all away – none of it means anything to anyone but me anyway’. Hmmm…similar reaction to sharing that little dog all those years ago. I guess I go to extremes, huh? May I introduce you to Sienna Reese – the most perfect daughter of my son and daughter-in-law. 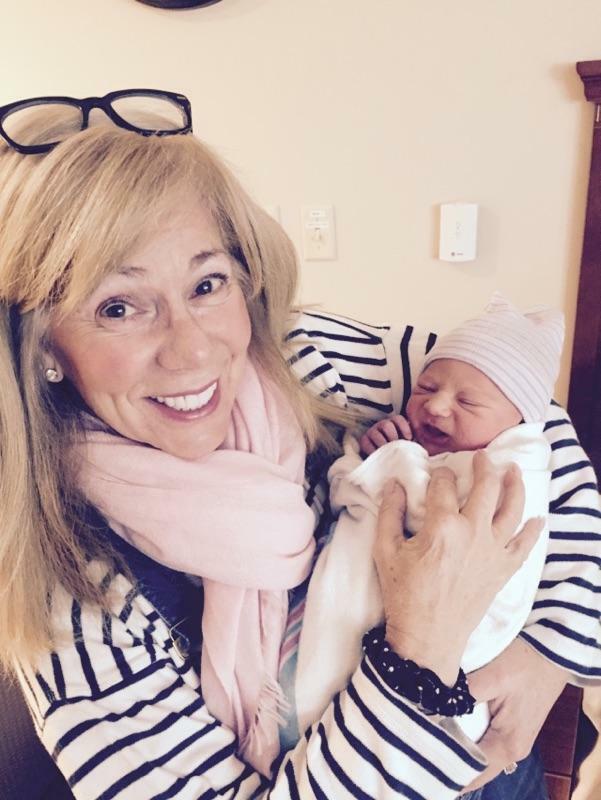 This little girl was made in love and born in love (with a powerful dose of determination, grit and strength on her mommy’s part) and is welcomed to the world with a full heart from so many – including this new grandmother.